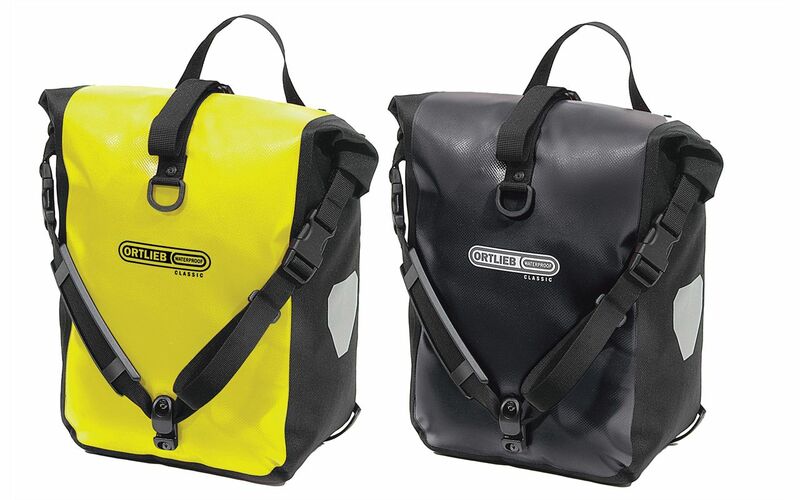 Ortlieb Front Roller Classic waterproof panniers are terrific, expedition-quality front panniers. Mount these panniers to one of our front bicycle racks to expand your overall cargo capacity. These bags offer retractable handles for easy and convenient mounting and dismounting as well as attachable straps so you can sling the bag over your shoulder when off the bike. 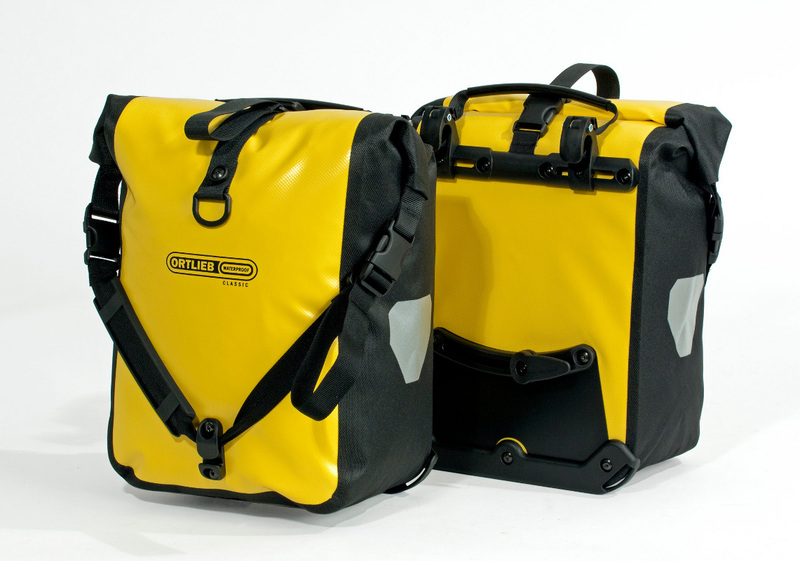 These bicycle panniers are absolutely waterproof. Size makes them great for front rack mounting, small bag rear rack mounting or children’s bikes. Both Andrew and Amanda started the tour using these panniers on the front of each bicycle. Andrew chose stealth black, while Amanda chose safety yellow. The front rollers a bit smaller than the year and you can put anything in them. We try and put lighter things in them to keep more weight on the back of the bike. A vast majority of touring cyclists use Ortlieb and we know why. They’re very durable and waterproof. After 6 months Amanda swapped out the front rollers for some rear rollers to fit more things. There were no flaws with the front rollers; Amanda only wanted to spend less time trying to carefully pack the front panniers to ensure they roll properly on the top to ensure water proofness. Be careful when trying to squeeze your bike in between items like trees. The bags are after all some type of fabric and if the tree gets a good hold on the bag, it will tear a hole. Big thumbs up. The front roller bags are more of a square shape and therefore you can pack things with precision. Andrew loves his front roller classics.